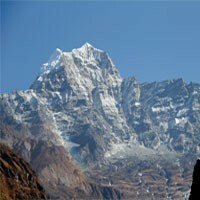 Mainly there are Two different trekking seasons in Nepal. Autumn (September to November) is most busy as it is the best trekking season. The weather is clearer most of the time on this season; the sky is clear and the panoramic views of Himalayas, hills are crystal clear in even in distances. The temperature will be decreasing in this season, so it is just nice temperate cold as neither freezing cold as December nor warm as June/July. You need to have warmer clothing for this season. Most of the places in higher land will be icy. 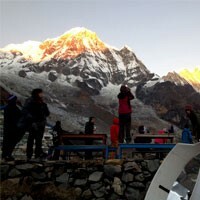 Spring (March to May) is the another best trekking season in Nepal. It will be less cold, more greenery and blooming flowers in the forest in this season compare to autumn. It snows some time at Highland but won't be freezing cold. View of the Himalayas are as beautiful but clouds are more active in this spring. Flowers bloom in this time and most of the forest in trekking trails will be very colourful. There are some trekking trails which is can be done during monsoon time. Upper Mustang and Upper Dolpo are dry areas so you can trek these trail even monsoon. 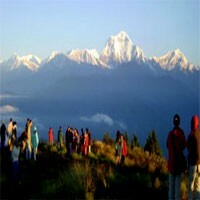 Short Trekking near Kathmandu and Day Hikes also can be done all the year in Nepal. Winter is a good time for low land trekking and Safari in Nepal.